Thrive Content Builder Review 2018 - Pros & Cons Included! Thrive Content Builder Review 2018 – Pros & Cons Included! Ask anything into their forum. Summary: If someone would ask me what is the one plugin I’d recommend anyone after setting up a WordPress website, then I’d 100% recommend the Thrive Content Builder. For a nominal one-time price, Thrive Content Builder can be considered as Swiss Army knife of WordPress plugins as the feature it contains will make you want to deactivate many other plugins on your site. Do you know what is WordPress’ Visual Editor called as? I’ve been using WordPress for well over 4 years and I’ve always asked myself... how much truth does the name hold? As a matter of fact; what I write in WordPress Visual Editor; I possibly can’t expect to get the same in preview section. Since I’m not very fluent with HTML and CSS; it’s tough for me to get into the HTML text editor and add different tags and CSS codes; to get what I want, and keep switching between Preview mode and Writing Mode... just to see what I’ve done is right or not. Due to this my editing time for an article measured; is equal to its writing time. Rendering Visual Elements – Suppose I’d want to add text inside a big colored box and give it good amount of padding; I certainly have to switch back and forth between Text Mode and Preview Mode to get everything right. Hence, I am not able to see how different visual elements will look until and unless I actually Preview it. Distraction Free Writing Mode – This feature was fused with WordPress 4.1 update... where once you start writing; other elements disappear and appear only when your mouse pointer is out of writing port. This one feature actually caused me more distractions due to disappearing and appearing of elements even if pointer moved by mistake. Shortcodes – From the start; I wasn’t a fan of Shortcodes. On front end they do add glitter to our webpage... however getting it right back-end; while writing article is a tough job to do. Flexibility in Designing – To highlight any important paragraph I always make it standout by sizing up the font, changing its background color and changing font color. Within WordPress the only way I can do it properly is by writing inline CSS and had to check back and forth from writing mode to preview mode to see if I got it right. I realized; it’s problem with WordPress and had to do something about it! Makes Articles more amusing to readers. Searching a little more on various forums; I stumbled upon this amazing tool called as Thrive Content Builder. We’ll talk about what Thrive Content Builder is... but it gives me immense pleasure to tell you; that this article is written using Thrive Content Builder too. ...and probably a How-to guide about using this premium WordPress Plugin. Before we start let me give a basic idea of how WordPress’ Visual Editor Interface looks like and how does Thrive Content Builder User Interface looks like. As you can see; with Thrive Content Builder (also referred as TCB)... you edit directly in preview mode. This is the reason why I call it ‘the real’ WYSIWYG WordPress Editor. How to get started with Thrive Content Builder? If you like content design on this site and want something similar, here’s what you need to do. Download Thrive Content Builder Plugin from here. It costs only $67/user lifetime. ...and you want to publish a post. Save the post as draft. Once your article gets a URL; click on the big ‘Edit with Thrive Content Builder’ button and you’re good to go. This will take you to new tab; where TCB will load your entire site in Editing mode. In this mode; it previews your whole site (the way it looks) and using various TCB’s drag-and-drop elements, you can edit and stylize your article in real-time. At right hand side; you can see Thrive Content Builder overlay with various drag-and-drop elements. So whatever elements you need on your article; you can drag that module and it appears on your site. As you can see in image above... I’ve dragged the ‘image’ element and TCB with green dotted line shows me where can I place any image. Hence, I drag the image module; choose appropriate position and drop ‘image’ module there. If I placed the module in wrong position; I can drag it and place it in right position. ...let me show you how I am able to solve various problems I faced with WordPress Default Editor. To be honest; I was fed up switching between writing and preview mode to see how various elements rendered. TCB solves this problem as it works directly in preview mode. To make things simpler, I would use WordPress plugin called as ‘Forget About Shortcodes Buttons’ to make things simpler. However with TCB, all I have to do is this! From right hand side; Thrive Content Builder overlay, drag the button module and drop at the right place. Edit various settings for that button like Button Color, Button Style (rounded, rectangle, With icon, with shadow), Button Size and Width, Button Text and Link, Margins and Padding, Button Text Font, Show Credit Card Icons (if creating Payment button), alignment and so on. And in realtime I can be 100% sure that the button will exactly same even in Preview mode. While writing in Default WordPress Editor; all around I see elements that aren’t part of the actual preview process. This causes distraction to me. Whereas in Thrive Content Builder; I can write article straight into Preview mode and not get distracted at all. Even the TCB overlay can be collapsed so as to squeeze more display area. One thing I wished the TCB could do is; actually lay over the sidebar area and it causes slight distraction. And when the overlay is in non-collapsed mode; it squeezes sidebar towards left and also the actual article width. I am not a fan of shortcodes and let me show you why. Before using TCB, I wanted to create three column table where I wanted to compare three different products. Since I wasn’t introduced to TCB back then, the only way I knew of doing it was using Shortcodes. Here’s a comparision how shortcodes look in editing mode and how they look in preview mode. In preview mode, you can see how simple those three columns look, isn’t it? However in ‘Writing Mode’; you’ll understand, how much horrific it is to create something as simple as Three Column table. Ok! Now wanna know how it can be done in TCB? Click on ‘Column Layout’ Module in TCB overlay, drag and drop the 3 column module inside your article. You wouldn’t believe me, but I created this table and customized it all within 15 seconds. Can you imagine that? Just 15 seconds... If I were to do this using CSS and HTML, from my experience it would take not less than 10 minutes to get everything right. This is how much powerful Thrive Content Builder is! Here’s the code that I need to deploy in order to get highlight important paragraph or line. "That’s not a major problem to deal with Ankit!" However; just to show you an example of that code, I had to switch between ‘writing’ and ‘preview’ mode 3 times just to get that background color right. Coming to Thrive Content Builder; I can design and highlight important paragraphs the way I want! Here’s how I do it very quickly, just within 10 seconds. I’m definitely in love with Thrive Content Builder and here’s what another user Fabrizio from Magnet4Blogging.net has to say about it. Well! What more does Thrive Content Builder has to offer... ?? ...I really don’t want to get delusional and go on explaining every feature there is in this $67 plugin. You can check every feature of Thrive Content Builder in action by clicking here. ...and explains a step-by-step procedure on how to create a similar and excellent business page using TCB. However, I’d like to explain 16 best features of TCB that have helped me save practically 100’s of dollars into buying other plugins and extra features for my site. I’ll post my favorite and extraordinary features of TCB and other alternative free/paid plugins I would have required if I didn’t used TCB at all. Thrive Developers have made TCB very flexible in every way possible. Even though I don’t like shortcodes very much; but I can use them straight into TCB. I occasionally use Onepress Social Locker, to lock certain Bonus content. Since TCB supports direct use of Shortcodes, all I have to do is place the locker shortcode above and below the content to lock in a new paragraph and my job is done. This can be very useful if you use a plugin that offers excellent features but in terms of shortcodes... then you won’t face any problem combining it with Thrive Content Builder. Hence if I download a table generator plugin to develop tables of various shapes and sizes... then that can be done with TCB without fidgeting with anything. There are many scenarios when you might require Icons to enhance your content. Thrive Content Builder provides great set of icons that be easily used with your content. These however don’t come default with the plugin. You need to download the entire icon set from icomoon.io website and later be imported into the plugin. I won’t talk more about this feature; as it is very self explanatory. With this feature, advanced users can add custom HTML and CSS for situations when you want to display something that TCB can’t design. It’s a helpful feature for Web Developers who like to have complete control over the content they create. This is a timed content; where you can set to display a part of your article or the entire article to display after a certain amount of time. It can be effectively used by marketers who can ask user to stay for more time on their blog and display a Bonus Content. Here, the best part is... as soon as the content is revealed; the entire page is automatically scrolled to the revealed content. This can help them send high-retention user signal to Google. Take a look at this demo of Content Reveal from Thrive’s official site. I’m always fascinated by the invention of ‘Star Ratings’ as they visually represent quality of any product or service. TCB also provides a set of Star Ratings functionality. The Rating feature is extremely flexible as you can choose between using 1-20 stars. Moreover you can make star rating extremely precise. If I want to create star rating of 3 out of 5 stars... then it can be done. However, if I want to create rating of 4.36 stars out of 5, then this too can be created very easily. I love this part of Thrive Content Builder very much. This allows me to highlight a certain part of content, without it being too loud. Both these versions come in 3 different styles each. Use this when you want to make certain part of content standout. I use this feature the least; but it’s totally an excellent feature. These can be extremely useful when you want to highlight important points in your article or best features in your product or service. There are tons of possibilities where you can use this module. There’s a huge wave going around of using Click-to-Tweet Button; as it acts as a CTA button for users to instantly share a quote or sentence from an article. This helps as user himself doesn’t has to write a tweet to go along with the article he’s sharing. Get all the details of a Real WYSIWYG editor; TCB! Compared to other versions of Click to Tweet plugins available in WordPress Plugin Directory; the one provided by TCB is extremely elegant to say the least. This is not an inbuilt feature, rather an amalgamation of various modules from TCB. ...Gael from Authority Hacker has created this amazing looking review snippet which I have absolutely fallen in love with. ...their design doesn’t comes anywhere close to one provided by Thrive Content Builder. In total, Thrive Content Builder Provides 5 testimonial styles with option to add user image and 4 styles for without image. These can be added anywhere; be it in your articles or in your pages to make them look and feel excellent throughout. Suppose you write an excellent article and get tons of comments, and you mention about this post on your newer article... then you can put 3-4 user comments on your new article showing your readers how awesome the previous article was. As Shane Melaugh of Thrives Themes says that all their themes are Conversion Focused and similar is the scenario with Thrive Content Builder; it made from ground-up with Conversion Optimization in Mind. And these two modules inside TCB i.e. Call to Action and Guarantee Boxes hit the sweet spot. These two features are gold mine for any Internet Marketer who either sells his own products and services or indulges in majority of affiliate programs. With Call to Action; you can direct a potential client into buying your product. Whereas the Guarantee Box holds a claim that your entire money will be refunded if you don’t like the product or after-sales service will be provided 24/7. Anything that you absolutely guarantee about and can deliver! TCB holds 4 Different styles for Guarantee Boxes and 4 for Call to Action. As of now; it’s very evident you might have seen a Pricing Table atleast once in your life on websites related to Hosting, Premium Plugins, Services and Different Products. Excellently designed Pricing Table started to drive a big boom in the industry as they put forth only what the seller intents the user to know. It also allowed user to compare in just one table, the differences between certain services or different features within a same product/service at various prices. Thrive Content Builder offers Pricing Table feature from 1-5 Columns Table. You can even customize this pricing table by changing it’s color scheme from Flat, Classy and Minimal. Note: Changing color scheme of pricing table; also changes color scheme of all other elements on that page. Well there’s no need to explain what Countdown Timers are, and what are they used for. The best part is for $67; you get a countdown functionality with Thrive Content Builder. Awesome, isn’t it? There are 2 types of counter with 3 different design styles. The 1st is where you set at what point of the day you want the timer to end. This is useful when you’ve held a giveaway and kept an end date to enter the giveaway. Also can be helpful when you are launching a site and have displayed a Launching Soon page along with exact time when you’ll launch it. 2nd type of counter is more of a ‘fool’s counter’ where it shows an offer or service will end after certain time but in reality doesn’t ends. Hence even if you set the timer to countdown from 5 Minutes; then for every user who visits your website, the timer will countdown from that point onwards. This is one of my favorite features from TCB as I frequently embed videos in my articles on other sites. Earlier I used to copy ‘640 x 360’ video embed code from YouTube. The one problem I had was; it would leave white space towards the right side of video. This changed after I started using Responsive Video module from Thrive Content Builder as it adapts to the width of article. Hence, if in my one blog I have main article width of 800px; then it would adapt to that width and adjust height automatically and similar if I use it on a site which has 732px width. Thrive Content Builder also offers functionality to put in-post Lead Generation Form that can be customized according to your needs. The form allows you collect user’s ‘name’ and ‘email id’ with a ‘Sign Up’ button. Form can also be arranged either in Horizontal or Vertical format and you can customize it as per your wish. See the live demo below. I made this in just 2 minutes. Enter your name and email below to get this FREE guide! You can even connect your Email Collecting services like Mailchimp, Aweber, GetResponse and so on... so as to direct store your leads there, rather than storing it in TCB database. It’s only upto you to decide how much you get just for $67. If you thought; everything about Thrive Content Builder is finished explaining, then I’m glad to say that you’re wrong. As I’ve kept the best and valuable feature of TCB for the last. It’s the one feature that will definitely make you fall in love with Thrive Content Builder. Before I proceed, just try to answer these few simple questions, will you? Do you want to capture tons of Emails Subscribers? Do you want to create nice looking and conversion optimized Landing Pages and Squeeze Pages? Do you want an easy and fast solution for that? If the answer is Yes for all 3 questions; then it’s an entirely valid reason for you to go out there and just buy Thrive Content Builder right now. Because Thrive Content Builder comes with a set of 107 Beautifully Pre-Designed Landing Page Templates! These 107 includes everything you can imagine of. Video Pages and so on. Do you wanna see all these pages in action before you download them? You can visit this link to see all 107 Landing Pages Templates in Action. Hope I was able to put forth an extensive and with real-life example of Thrive Content Builder in action. I have absolutely fallen in love with this plugin (and guess what... I don’t say this about very few plugins) considering it’s priced so low at $67. This makes it the most underpriced product of all WordPress plugins. Now... as every plugin has its best part; there’s nothing that’s 100% perfect and does have some issues. And now I’ll talk about the few problems I face with Thrive Content Builder. Before I publish any article using TCB; I always look up the entire HTML of that article. Because, most of the times... the HTML part leaves blank paragraphs that I create and deleted in editing mode. Hence at the end I have few ‘<p class=””> </p>’ left which I have to personally delete. However this isn’t a major issue with me as I can easily do ‘Ctrl+F’ on my browser, search for ‘<p class=””> </p>’ and delete them. This does gets a little annoying as I see certain blank paragraph spaces in my articles after publishing them. This is however rare and can easily be handled by again going into editing mode and deleting blank paragraph. Suppose if I want to change color scheme of Pricing Table as Flat, Minimal Color Scheme for Button and Classy for Content Boxes, then this can’t be done. If I change Color Scheme, then all entire elements Color Scheme on that article changes. There’s currently no workaround for it. Hope the company offers this feature in later updates. Well more I could say? With just the length of this review, you can see how much I have fallen in love with this plugin. I’ve been blogging for a long time now and would really like to give a big Thumbs Up to Shane Melaugh for designing this one hell of a plugin. It’s like a Swiss knife of all plugins as it’s offers so many features in its entirety. Do I need to answer this? Hell Yeah! 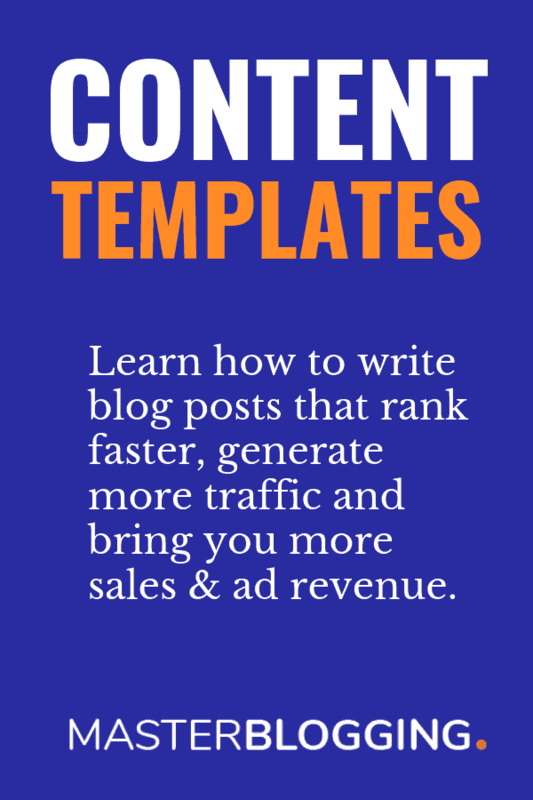 You’re a missing a lot and losing a lot of money if you’re not using Thrive Content Builder, as producing delightful looking content is the future of Content Creation. Ok! Now do let me know your thoughts about this review in the comments section and has this review inspired you to buy one. If you want to know in-depth features of Thrive Content Builder, just click this link to visit their site and get a feel of how you can too start creating amazing looking content. Hey Ankit, Hope you’re fine. Its very well explained article & guess what now Im in love with TCB. Before, I heard about it alot but I wasnt willing to read about it. But I must say I spent my time reading a quality article & also about a quality product. I’ll surely buy it. Keep the great work up. I’m absolutely fine. What about you? You must buy this awesome plugin if you are willing to improve your blog posts design. It will increase your readership and conversion rates as well. Whenever you buy, don’t forget to share your experience with me. Really Nice Content Bulider, I need. I wanna buy it today. Buy and rock your content design, Nisha. Right, Tarun. TCB is truly amazing. Thanks for sharing this article. I have got a clear idea about Thrive Content Builder. This is really a helpful content builder. I have been using TCB from past 2-3 months now, and I can say it’s truly amazing. Awesome article. Thinking to buy this to make my articles even more beautiful. Awesome tool and you have described all the points perfectly. Thanks. I’ve brought this very earlier but couldn’t use properly. As a result, I thought that it’s not a good one. This content has changed my idea & helped me to build a awesome content as well as save the time. I have been looking at thrive themes, however, I have bought those so-so build it plugs before that turned out to be very complex, and thrive themes does not look all that easy if you ask me, more so when it comes to the “content builder” plugin. I have seen a couple videos here and there, but overall, I bet it has some learning curve…. then please speak up, would love to hear your thoughts. Are your pages built using thrive themes content builder? Truly Nice Content Bulider, I require. I wanna purchase it today. Its a great and complete review on thrive content bulider, I am using Thrive Theme (Rise) But not the content builder. Its has a lot of feature but its take a long loading time and decrease the post page size during editing ! But thrive themes are great ! Great ideas contact builder, Buy today and useful article guide very nice. I have been using this on my blog since past couple of days. This is awesome. And your review is great as well. Thank you demonstrating all the things related to this content builder. TCB works in the preview mode. This works for me… Hands down!!! Yes it does get really cumbersome to shuffle between the Switch and Preview modes while you’re writing – especially something as big as this! Hello Ankit this one is a very good editor but I have a doubt here. Can we edit the articles using content builder that we had published already or there is no other way? Can i use this plugin with any theme? for instance, the Authority by themes hop? I think 70$ or 100$ worth for me as I and you are from India I m in my initial stage of blogging and not did earn any income from my website that’s why I can’t buy can you give to me on my mail. pls if anybody else can pls. You should use any of the free page builders such as Elementor, Page Builder by SiteOrigin. You need a license to activate Thrive Content Builder and no one will give theirs for free. Very Useful Article. I am regular reader of your blog. As usual this one is most interesting and useful article. But I think the cost of this plugin is very high. Can you recommend any alternative of thrive content builder? Waiting for your reply. Thanks. Its free and less complicated as i am just a blogger don’t know the tech stuff. Great Article I just bought and installed this. But What I am afraid of is, If I use this plugin to write a full article. does it affect my SEO, because I find that this plugin does not work with Yoast. When I create content with this plugin, Yoast cant detect if I have used my keywords correctly. When it comes to customizing our content,Thrive content makes it look way more neat and clean than any other content builder can.Plus it’s easy to use. I have been using this but how do you put amazon affiliate links in using the thrive content builder. the problem is that easyazon is not compatible and i need a new better way? should i just use the links from amazon assoate site?? As a long time user of Thrivethemes.com, I haven’t experienced particularly positive results. I’ve invested lots of time but I feel like it’s been mostly wasted. Thanks for sharing your insights on Thrive Content Builder. This seems pretty good content creation tool. Based on your description i believe that with this tool we will be able to create content as fast a possible and with a better look. The landing page creator seems pretty awesome. My Thrive content builder Wont load. What I need to do. Any solution? To get rid of it. Contacted Thrive Theme support. No response yet. Hi Vijay – what do you mean it won’t load? Have you installed it by downloading the zip file to your laptop/PC and uploading it into your WP site? Hi Ankit, thanks for this lovely review – I’m actually a user of both Thrive Content Builder and Thrive Leads, and love both of these plugins. Actually, I’ve a nagging question: does using TCB affect on-page SEO? Ie would it create additional blank space/etc in HTML that affects Google’s crawling and hence create negative/bad SEO? I understand that it’d help with readers consuming content that is better presented, and I think that’s good for SEO too. Are you sure you want to leave without checking Thrive Content Builder out? It's REALLY awesome.